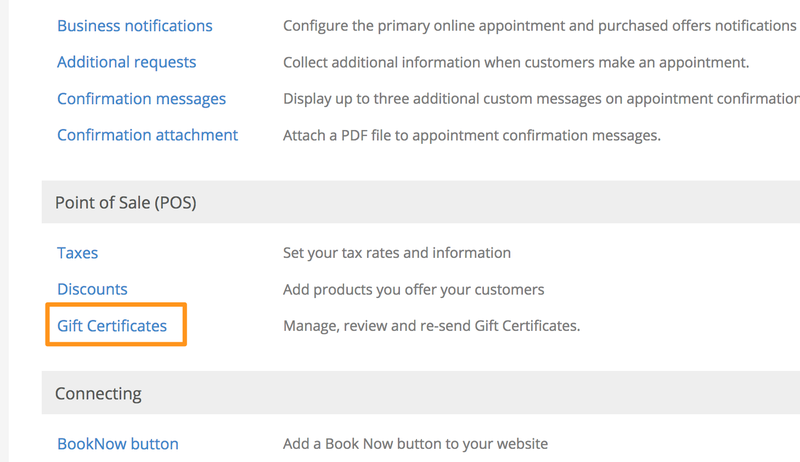 Click the grey button to toggle Gift Certificates to "on" (blue). 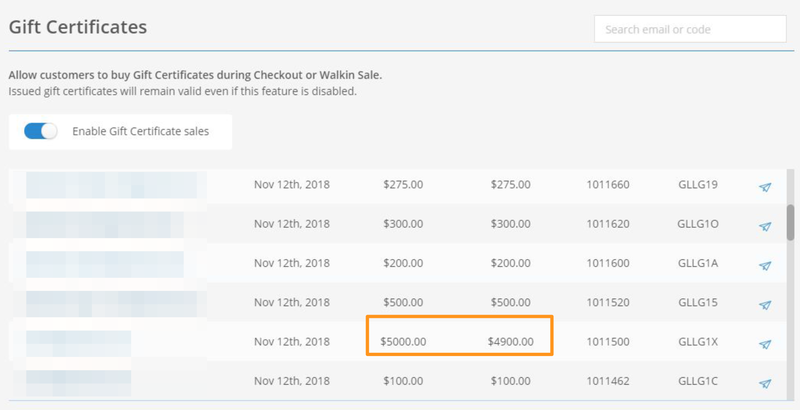 Once you've done this, a "Gift Certificates" tab will appear on your online scheduling page, as a subsection of your "Book" tab. 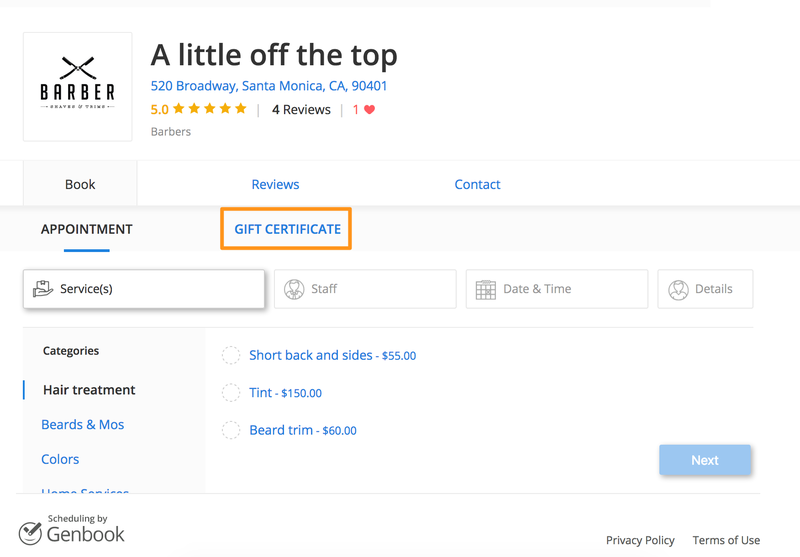 Gift certificate purchasers can enter the price amount of their choice (free-form) and also a title for the gift certificate (e.g. "Happy Birthday, Jane" or "Happy Holidays! ", etc.). They will then enter their contact and credit card details and click the blue "Buy" button when finished. Once they've completed their gift certificate purchase, they'll receive an email with a PDF attachment of the certificate. They can then forward that email along to the intended recipient or download it and create a new email to which they then attach it. The Gift Certificate also contains a link to your online scheduling page, which recipients can click to book. They can then redeem their gift certificates at the time of their appointment. 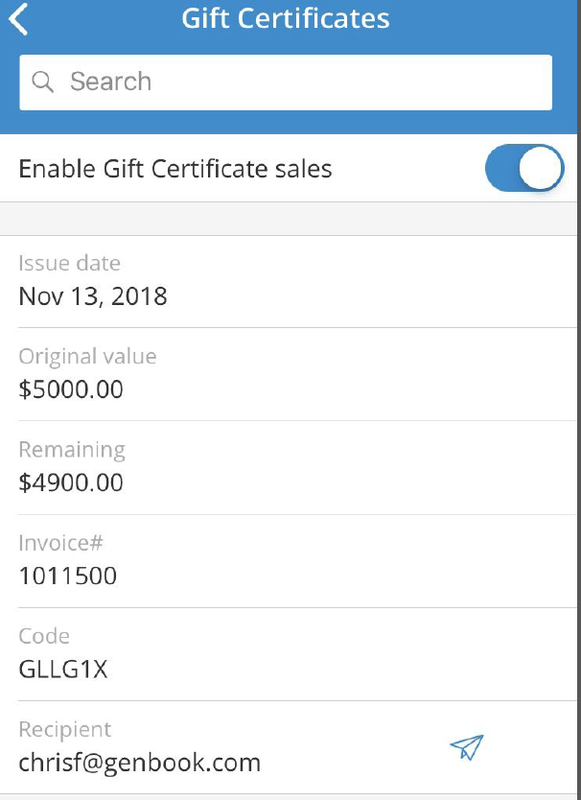 On your end, you'll see the list of purchased gift certificates under Settings > Gift Certificates, as well as the gift certificate IDs and how much of the amount remains after a portion of it is used. You can see these on the Desktop version of the app as well as in the Genbook Manager app (iPhone only, at this time). Clicking on one, will isolate its information. 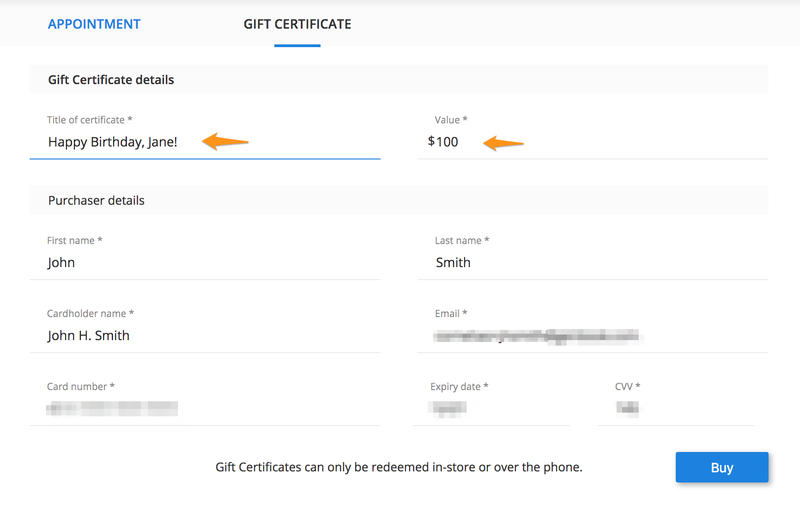 Clicking the little "paper airplane" icon will allow you to resend the gift certificate email. You can redeem gift certificates during the Checkout process. 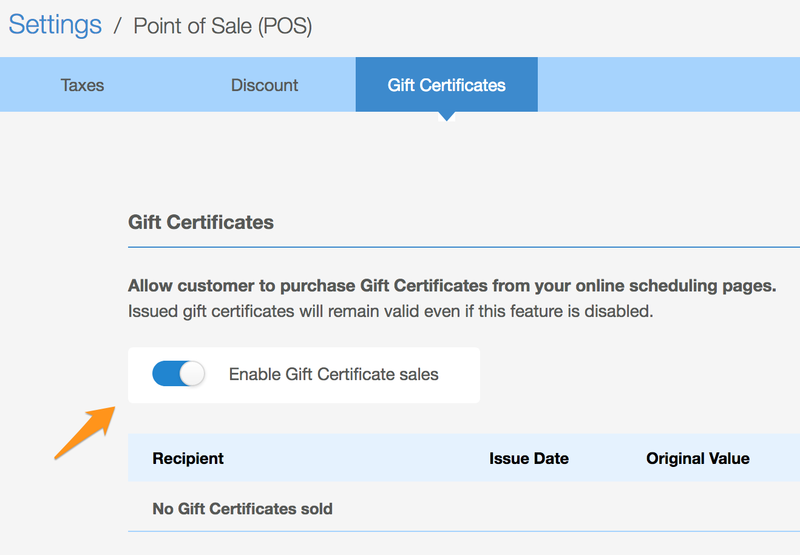 Once the sale of them is enabled, you'll see "Gift Certificate" as a third option for payment type (alongside "Credit Card" and "Cash"). 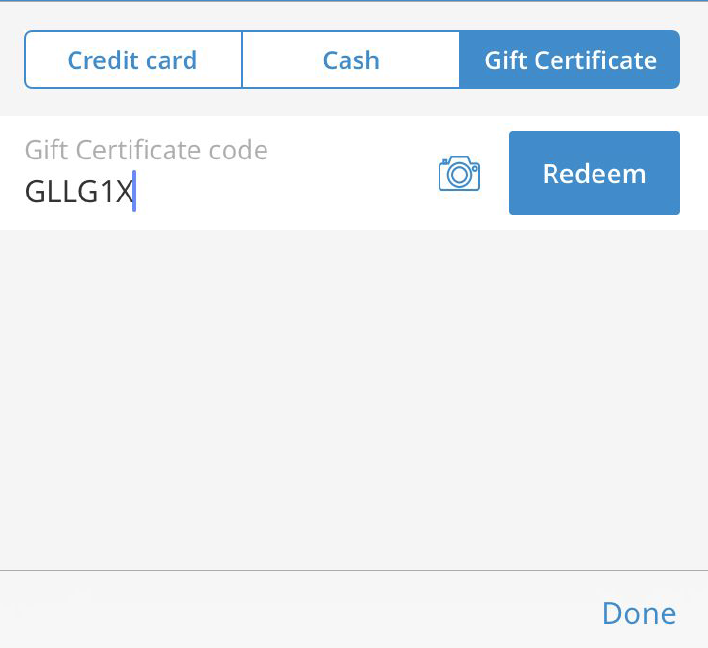 Simply click the Gift Certificate option then enter the Gift Certificate code. 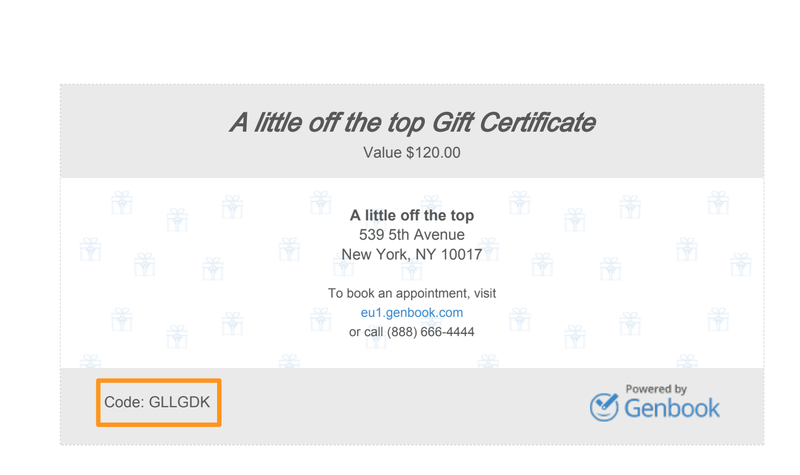 In the Genbook Manager app version, you can even take a photograph of the gift certificate. 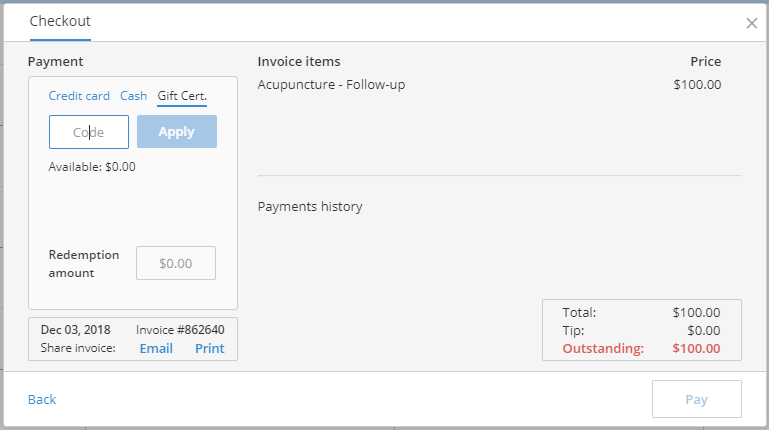 Then proceed as usual to check out the client with payment being made via that gift certificate. 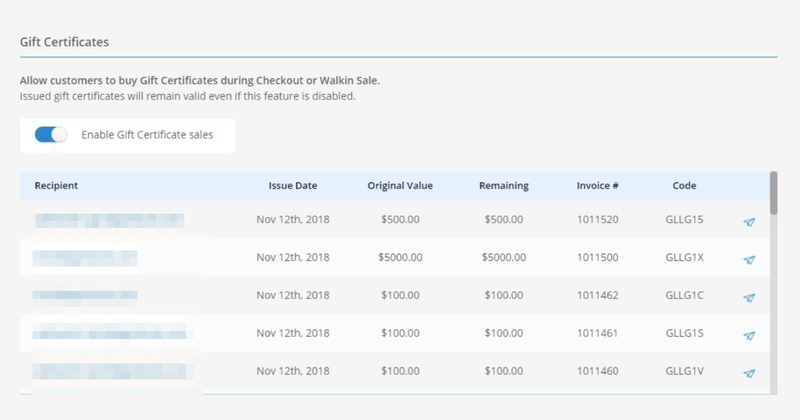 You'll see the full value available, as well as the value the client is redeeming at the time. 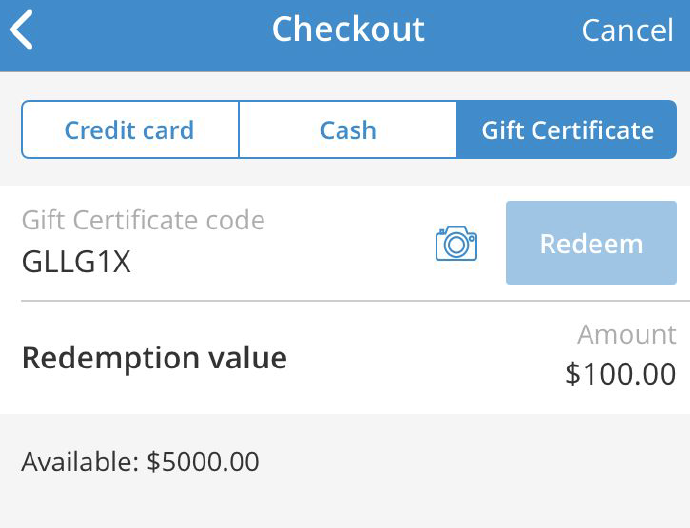 When you return to your Gift Certificate section in Settings, you'll see that the original amount and the new amount, after the partial redemption, is listed inline with the gift certificate in question.